A few big writers have released some big nonfiction titles today. We all know that underdogs can win-that's what the David versus Goliath legend tells us, and we've seen it with our own eyes. Or have we? 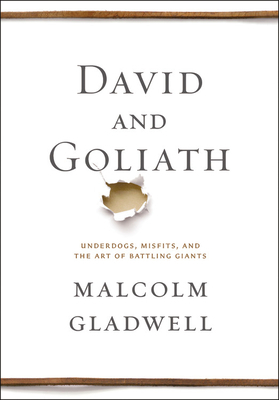 In David and Goliath, Malcolm Gladwell, with his unparalleled ability to grasp connections others miss, uncovers the hidden rules that shape the balance between the weak and the mighty, the powerful and the dispossessed. Gladwell examines the battlefields of Northern Ireland and Vietnam, takes us into the minds of cancer researchers and civil rights leaders, and digs into the dynamics of successful and unsuccessful classrooms-all in an attempt to demonstrate how fundamentally we misunderstand the true meaning of advantages and disadvantages. When is a traumatic childhood a good thing? When does a disability leave someone better off? Do you really want your child to go to the best school he or she can get into? Why are the childhoods of people at the top of one profession after another marked by deprivation and struggle? Drawing upon psychology, history, science, business, and politics, David and Goliath is a beautifully written book about the mighty leverage of the unconventional. Millions of readers have been waiting for the next Malcolm Gladwell book. That wait is over. The summer of 1927 began with one of the signature events of the twentieth century: on May 21, 1927, Charles Lindbergh became the first man to cross the Atlantic by plane nonstop, and when he landed in Le Bourget airfield near Paris, he ignited an explosion of worldwide rapture and instantly became the most famous person on the planet. Meanwhile, the titanically talented Babe Ruth was beginning his assault on the home run record, which would culminate on September 30 with his sixtieth blast, one of the most resonant and durable records in sports history. In between those dates a Queens housewife named Ruth Snyder and her corset-salesman lover garroted her husband, leading to a murder trial that became a huge tabloid sensation. Alvin “Shipwreck” Kelly sat atop a flagpole in Newark, New Jersey, for twelve days—a new record. The American South was clobbered by unprecedented rain and by flooding of the Mississippi basin, a great human disaster, the relief efforts for which were guided by the uncannily able and insufferably pompous Herbert Hoover. Calvin Coolidge interrupted an already leisurely presidency for an even more relaxing three-month vacation in the Black Hills of South Dakota. The gangster Al Capone tightened his grip on the illegal booze business through a gaudy and murderous reign of terror and municipal corruption. The first true “talking picture,” Al Jolson’s The Jazz Singer, was filmed and forever changed the motion picture industry. The four most powerful central bankers on earth met in secret session on a Long Island estate and made a fateful decision that virtually guaranteed a future crash and depression. 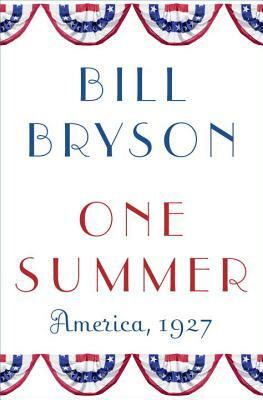 All this and much, much more transpired in that epochal summer of 1927, and Bill Bryson captures its outsized personalities, exciting events, and occasional just plain weirdness with his trademark vividness, eye for telling detail, and delicious humor. In that year America stepped out onto the world stage as the main event, and One Summer transforms it all into narrative nonfiction of the highest order. A great American writer’s confrontation with a great European critic—a personal and intellectual awakening. A hundred years ago, the Viennese satirist Karl Kraus was among the most penetrating and farsighted writers in Europe. In his self-published magazine, Die Fackel, Kraus brilliantly attacked the popular media’s manipulation of reality, the dehumanizing machinery of technology and consumer capitalism, and the jingoistic rhetoric of a fading empire. But even though he had a fervent following, which included Franz Kafka and Walter Benjamin, he remained something of a lonely prophet, and few people today are familiar with his work. Luckily, Jonathan Franzen is one of them. 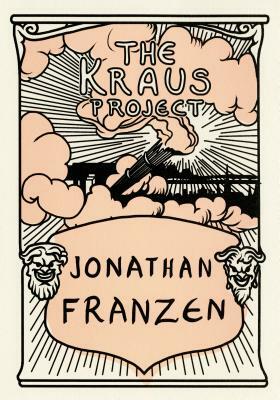 In The Kraus Project, Franzen, whose “calm, passionate critical authority” has been praised in The New York Times Book Review, not only presents his definitive new translations of Kraus but annotates them spectacularly, with supplementary notes from the Kraus scholar Paul Reitter and the Austrian author Daniel Kehlmann. Kraus was a notoriously cantankerous and difficult writer, and in Franzen he has found his match: a novelist unafraid to voice unpopular opinions strongly, a critic capable of untangling Kraus’s often dense arguments to reveal their relevance to contemporary America. While Kraus is lampooning the iconic German poet and essayist Heinrich Heine and celebrating his own literary hero, the Austrian playwright Johann Nestroy, Franzen is annotating Kraus the way Kraus annotated others, surveying today’s cultural and technological landscape with fearsome clarity, and giving us a deeply personal recollection of his first year out of college, when he fell in love with Kraus’s work. Painstakingly wrought, strikingly original in form, The Kraus Project is a feast of thought, passion, and literature.